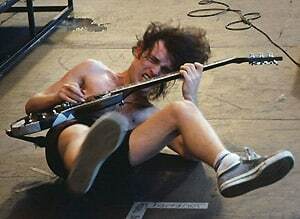 Learning guitar is a common passion among the youngsters. It is not so tough to learn to play guitar if you follow and practice the lessons properly. Chords are the most important and fundamental thing a learner should focus on. Chords are proper combination of notes which are formed in various patters and after strumming it creates harmonious sound. If you have started learning guitar you should focus on guitar chords, it is the basic point to start playing popular songs. Even if you have learned limited number of chords you can play wide varieties of songs easily. If you have command on chords you will enjoy learning and playing guitar. 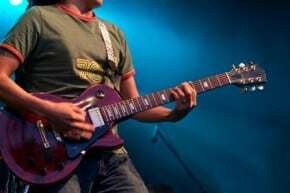 With proper knowledge of chords a beginner can start playing some known rock songs in no time. You can find few chords easy to learn and play but some chords can be difficult for you to play. So when you start learning you should start with easy guitar chords. There are mainly four easy guitar chords you should focus at start, once you have mastered these you can go for more complicated and advanced chords. E Major: – The open chord “E major” uses the notes B, G# and E. To get the E note, the low E string is played open. 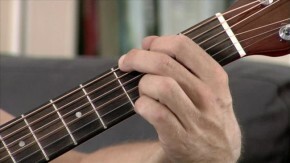 B note is received by fretting A string by second finger at second fret. And to get another E note you have to fret D string by your third finger at the second fret. 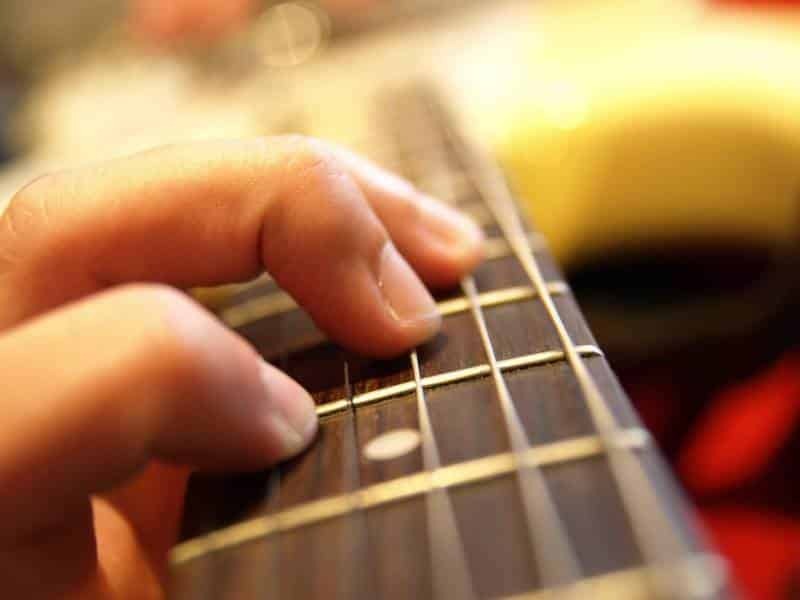 G# note is received by fretting D string by your first finger at first fret. 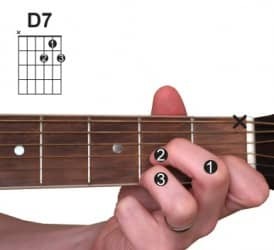 G Major: – The open chord “G Major” uses the notes B, D and G. G root note is received by fretting low E string by your second finger at third fret. 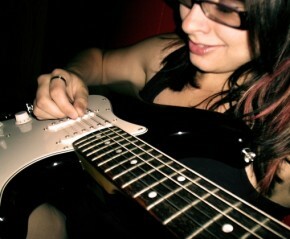 And B note is received by fretting A string by your first finger at second fret. Rest D, B and G strings are played open. C Major: – The open chord “C Major” uses the notes C, E and G. The low E string is never played in this case. To get root C note A string is fretted by third finger at the third fret. And E note is received by fretting D string by your second finger at the second fret. The G string and final high E string is left open. D Major: – We play only bottom four string for this chord. 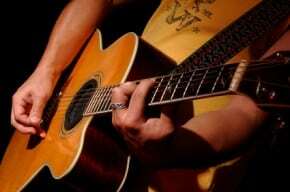 How To Learn & Practice Easy Guitar Chords? These days you have various ways to learn it. You can get a good book or tutorial which will shoe you exactly how you can practice those chords. There are lots of online tutorials and videos available which can help you through the process. The main thing of mastering any chord is regular and consistent practice, practicing twice a week can be a good start for a beginner. Once you know little about these chords you should start practicing it with either a jam track or a metronome. This is all you need to know about the easy guitar chords, now you have to do only one thing, go ahead and start practicing.